My class last Saturday on the "Summer Flies" Shawl went well. Connie, Gerrie and I went over the pattern and I gave some tips and techniques, then we practiced some of the stitches and last but not least Connie and Gerrie started on their own "Summer Flies". I saw Connie's shawl a couple of days later and it is looking good. I am sure Gerrie's is looking equally good. My shawl is just about done (see notes below). The store sample "Harriet" is coming along nicely. One piece is finished and I started on the second (identical) piece. If you want to make your own summer T-shirt, come to my class on Saturday, June 28. I have one row left to do and then the picot bind-off. I am sure by next week this shawl will be on my blocking mat. FIRST OFF :HAVE A NICE MEMORIAL DAY !!!! A picture is a thousand words, right?! So, this week I will just post some pictures of my wip's. The only new project is the little "Harriet Dress" I am making as a store sample, everything else you have seen before in earlier stages. One spot is available. The class starts at 10:30am and will be one hour plus long. And I am close to finished with my TemptingII on which I am offering a class on June 28. 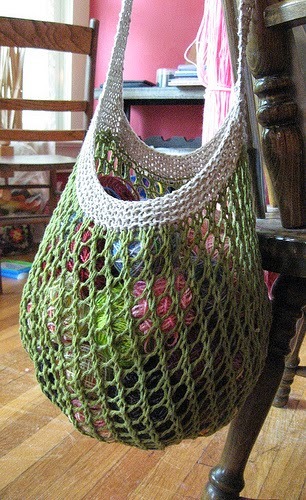 Also check out the other classes offered at The Knitting Garage this summer in my post below! Summer is here and I have some fun projects planned for my Saturday morning classes. These are individual classes held every Saturday morning from 10:30-12 Noon. The skill level for these classes is beginner/ intermediate. You will learn new techniques and get started on a project. Included in the class fee are the pattern and any help you need to finish. Sign up quickly, classes are limited to four participants. Saturday, June 14. Pinwheel Spa Cloth. This is a luxurious washcloth and makes a nice quick gift. You will learn: The circular cast on, knit with DPN’s, how to read a chart and an easy crochet bind-off. You will need 35 yards of DK weight yarn. I suggest the Trendsetter Yarns “Lino”. Saturday, June 21. Great Grand Sun Hat The pattern is for sizes baby all the way to adult. You will learn: Knit with DPN’s, slipped stitches and cables. You will need 108 to 216 yards of DK weight yarn. I suggest the Cascade Sunseeker cotton yarn for this. Saturday, June 28. Tempting II A simple T-shirt knitted up in a k1, p1 ribbing guaranteed to fit. This is knitted bottom up in one piece. If you have never knitted a sweater, but always wanted to try, this may be the best start. You will learn: knitting on circular needles, knitting on DPN’s or the magic loop, three-needle- bind-off. You will need 708-1239 yards of a worsted weight cotton blend yarn. I suggest the Cascade Avalon. • Saturday, July 5. Judy’s magic cast-on. This is a favorite cast on for toe-up socks two at a time or individual. You can use any weight yarn to learn this technique. • Saturday, July 12. Fish Lips Kiss Heel. This is a simple and well-fitting heel construction everyone seems to be talking about. You will learn the special stitch used for this construction. You can use any weight yarn to learn the technique. Saturday, July 26. Girlfriend’s Market Bag. This is a must-have item for summer market days. Make one for yourself and one for a girlfriend. You will learn: Circular cast-on, knit on DPN’s, Kitchener stitch. You will need about 150 yards of yarn. I suggest the Blue Sky Skinny Cotton or Cascade Avalon. Saturday, August 2. Stay-Put Shawl This is a three-section shawl constructed with two decrease points and really does stay on your shoulders nicely. You will learn: A simple shawl construction; perfect for the beginner knitter. You only need 300 yards of worsted weight cotton, linen or any other worsted weight yarn. I suggest the Trendsetter Yarn “Phoenix”. Tuesday, July 1. – July 22 and July 29 – August 19. (four weeks) 2:30-3:30pm Beginners knitting class Come on in from the heat and take this class this summer. If you miss one class during one session you can make it up during the next session or at a later point. For ages 8 to 108. All Saturday classes are $35 for the instructions for one or two participants, $30 for three or four participants. The Tuesday class for beginners is $95 for one or two participants, $75 for three or four participants. There is a 10% family discount on all classes. Please e-mail me to sign up and also with special requests for classes you would like to see offered. The cost for private lessons at The Knitting Garage at AL Stickle is $35/ hour. For private lessons held at your convenience call or e-mail to schedule an appointment. change the look by choosing just one colorway or a solid color in a different yarn. For my next store sample I worked with a cotton/ linen blend yarn from Trendsetter "Lino". You can find similar patterns for free, but what I like about this one is the detailed instruction, both written and as a chart. The designer also puts a little spin on the circular cast-on which I liked, because it made the cast on easier. The crochet bind-off is a very nice finishing touch I did not find in other similar patterns. All in all I thought it to be worth the $5 you pay for this pattern (you can purchase it directly on ravelry or through your local yarn shop), especially considering that you will make lots of these for everyone on your list. This Spa Cloth knits up in an hour or two and when paired with a bar of special soap this is a perfect last minute gift. You can make three washcloths out of one skein of the Trendsetter Lino. Thank you to everyone who inquired about my shoulder. I did not mean to worry anyone and am happy to say that it is much improved. I worked on some chemo blankets and fixed a sweater for a friend. The chemo blankets, hats and booties will be taken to St. Peter's and the Women's Cancer Treatment Center in Albany the first week of June by Bonny from the Tivoli Library in remembrance of Marie- France Dougherty who was treated there and passed away last summer. Anyone interested to participate or add items to donate (finished items only, please) can bring them either to the Tivoli Library or drop them off with me. The phone number for the Tivoli Library is 845-757-3771 and I am at the Knitting Garage in Rhinebeck Tuesdays and Saturdays. Instead of a k2tog, ssk I did a center double decrease (cdd) on a knit stitch as the center, purling the stitches in between. I also added one decrease row so I was left with 7 sts to pull the yarn through. Then I sewed a soccer ball button on the top. I found this one at AL Stickle in Rhinebeck; they have a great selection of buttons! I am pleased with how this came out and am looking forward to see pictures of my little grand-nephew wearing this hat. 12 photos are featured on pattern pages. Now that I finished "Kitty" which has become a popular pattern just as predicted, I started on a shawl to show off the beautiful Trendsetter Phoenix yarn. This yarn is a 66% Viscose and 34% Cotton blend and knits up beautifully. The colors are lovely and I can already see that this will have a nice drape. The pattern I am using is called "The Stay- Put Shawl" and is a free pattern on ravelry. I am 2/3rds done with the second skein on this; still ribbing. I finished the 15 inches of ribbing and will be starting with the armholes and neck next. I just started on the second butterfly section. I also started on a little red baby hat to go with the blanket I made for my nephew's baby boy. As predicted I finished knitting Kitty ,added the crochet edging last Saturday and left it to block. The only change I made to the pattern was when binding off the stitches from the sleeves I bound off on the purl side purl-wise and then continued right away with the crochet edging. This eliminated sewing in two additional yarn ends on both sides. I finished with re-knitting the tank top and tried it on. I like it a lot better than it was before. I think in the five years since I knitted it originally I have learned more about gauge and fit. To lessen the color difference between the original knit and the more faded re-knit portions I simmered the tank top in a solution of RIT at 180F. Originally I was going to keep stirring on simmer for 30 minutes, but ended up taking it out after 10 minutes as I could see how the colors faded in unison. There is still a little difference detectable, but I could always go through this process again. To make the stitches look more uniform I blocked it. The final result: Remember how it looked before? Check last week's blog. With re-knitting the 2009 tank top done, I felt free to start on a new one right away. I choose a lovely simple design "Tempting II" by Jenna Adorno, a pattern which is available for free on ravelry. The worsted weight cotton/ acrylic mix yarn which we just got in from Cascade in many beautiful colors seems an ideal choice. As it is a little heavier I am using US #7 needles, I also CO 170 sts for a fit in between S and M. I don't want this to fit snugly, but I also don't want this to be too baggy, so there is a fine line. The fact that the entire piece is knitted in a k1, p1 rib should help. I am thinking to offer a class on this this summer to help you get started on your own "Tempting II". For mindless knitting I have been working on the above tank top and also Matt's all in one and got the scarf section of the project done over 1/3 of the desired length of 60". One skein knitted up to a length of 24". Remember the beautiful yarn I bought for this pattern while on Pawleys Island last October?